We are a locally and independently owned Optometric office and Optical boutique located right here in Decatur. We offer full-service eyecare from managing dry eyes to treating glaucoma. Dr. Minh Ta and Dr. Nancy Truong share a vision to provide exceptional eyecare using the latest in technology so that you can see and feel your best. We believe everyone deserves to see well and have healthy eyes. Our mission is to exceed the expectations of all of our patients by creating a personable environment with individualized attention. 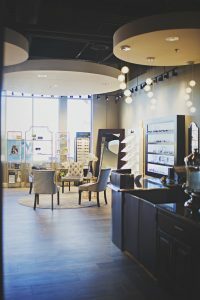 We listen to what your eyecare needs are, provide the sharpest vision you could imagine, and help you choose the perfect eyewear for your lifestyle.